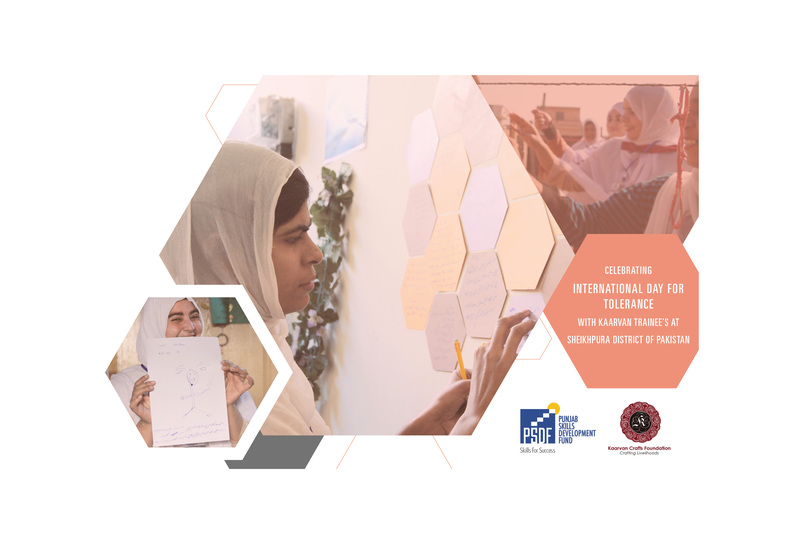 This International Day for Tolerance, November 16th, Kaarvan Crafts Foundation created a space of exploration around leadership, culture of peace and building personal capacity of social skills — communication skills, collaboration skills, cultural skills and conflict skills — with female artisans living and working in Sheikhpura District of Pakistan. 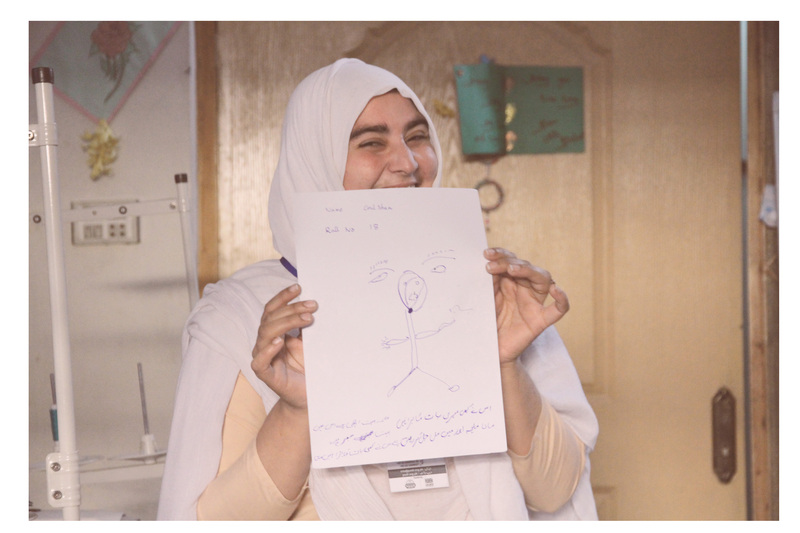 Through a series of interactive activities Pakistani female artisans became more self aware of their innate leadership skills. Leadership isn’t about wielding power and authority. It is about listening, understanding, being curious, being honest and responding with care & compassion. A tremendous aspect of leadership is tolerance and empathy — of being open and respectful to different perspectives to get a full picture of the world. The Blind Contour Drawings having removed an air of hesitancy and cultivated an ambience of play. 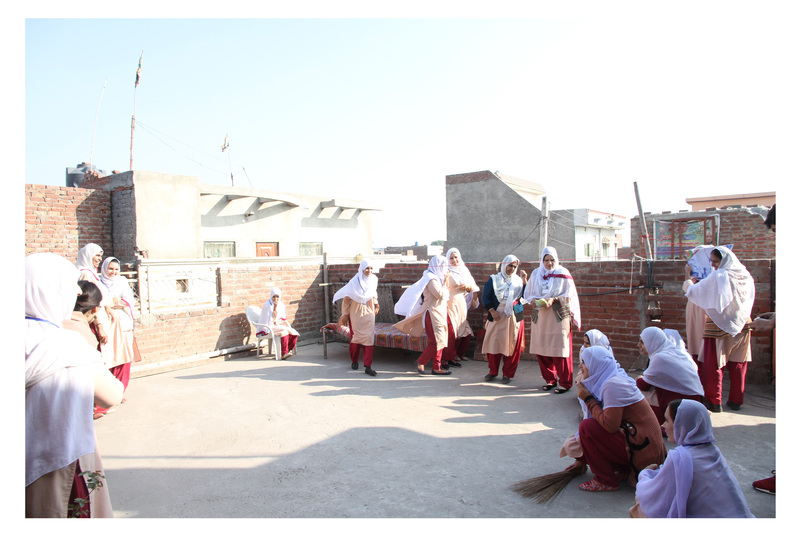 Kaarvan team introduced the second activity outside the classroom in the open maedane “Come Join Me / Improv Play” where one of the eighteen artisan’s steps into the blank space starts an action that sets the tone/ scene for other artisans to read into and build upon each other’s action. This form of improve play is a powerful tool to help a group create and shape a shared reality of our own desire. By observing, reading and responding to fellow artisans actions, the women recognize that everyone has something unique to add to life — no idea or role is big or small. Each and everyone whether visibly or invisibly is building on each other’s ideas. Creating collaboratively. minutes of reflection and writing — all the hexagons were placed side by side to form a hive of thoughts. Sharing of experiences and perceptions ensued where some saw an abandon mansion, some saw looking outside a school window, some saw the opportunity to clean and build something a new. Through dialogue we explored our individual and collective interlocking similarities and differences derived from our unique life experiences and backgrounds. Female artisans having acknowledged that they have some degree of influence to change a situation and are in fact ‘quiet’ daring leaders; Kaarvan team moved to its fourth and final activity of the day and that was too ‘Listen, Hear and Share Viewpoints on ‘Stuck’ Moments’. 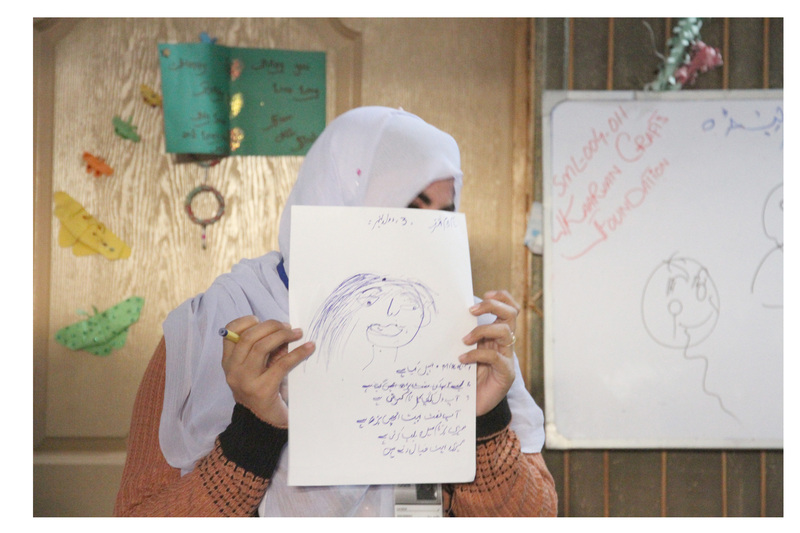 In this activity artisans were asked to think about situation (work, personal, environment related) in which they are mentally stuck on — on which they have thought about it but have no solution at the moment. After thinking about their relevant stuck moments artisans in groups of four shared their story one by one. Other artisans listened intently without saying anything while the artisan is sharing story. After every story share-out there was 3 min of quiet reflection where group members think of what they heard — think of image, gesture & word. Listener artisans turn-by-turn shared image, gesture & word the story invoked in them. 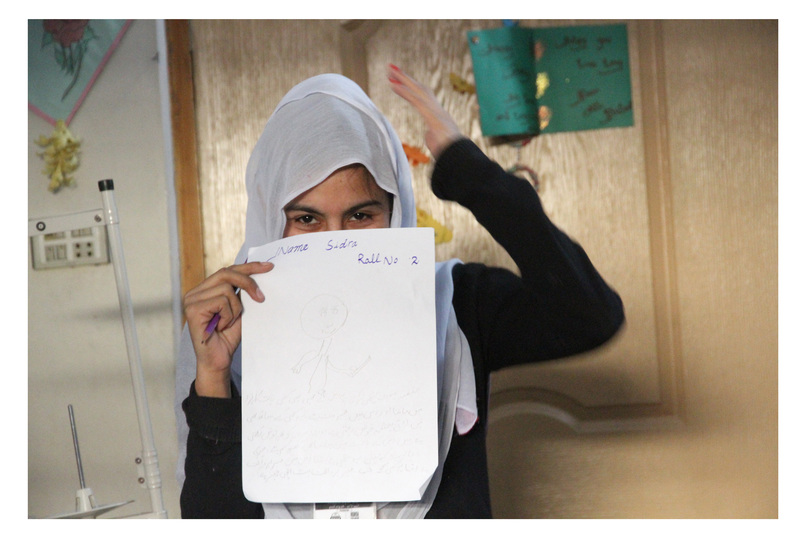 Idea behind this activity is that while the story hasn’t changed, the way different people see and feel about the story may help the storyteller gain perspective or respond differently to the stuck moment then she originally perceived and responded to. Candidly speaking this last activity was the hardest for the female artisans to grasp. It is great learning for Kaarvan that learning through making and play is more effective. This last activity requires more local grounding, simplification and more time for reflection & discourse. 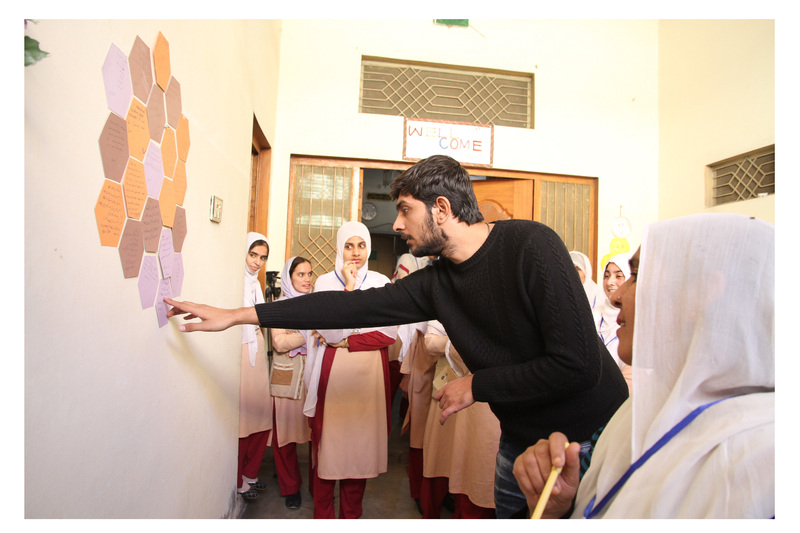 This workshop is one of eight; it’s part of larger Constellation of Change that aims to provide a series of soft skills/ social skills in alignment with the International Sustainable Development Goals (SDGs) to expand Pakistani Female Artisans personal capacities to act with others for socially constructive purposes. 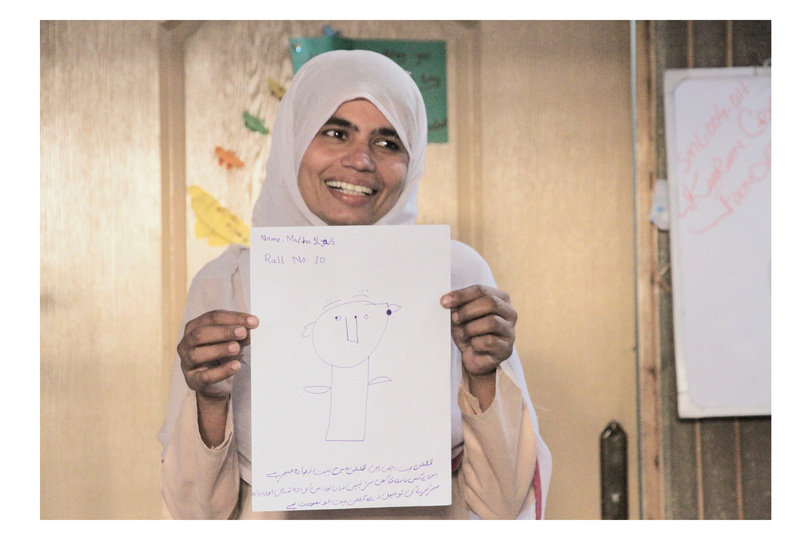 With Theory of Change revolving around education, enablement and empowerment of women’s economic capacities — Kaarvan places women in the heart of development.